These Taco Tortilla Stacks have been made in our family for years! They are so easy to assemble ahead of time, and serve as a quick snack for a crowd. We enjoy ours served with salsa! A few weeks ago I was thumbing through an old recipe book that had a bunch of handwritten family recipes. And by “family recipes” I don’t mean original, creative recipes that my family created. I’m talking “family recipes” as in ones that my family has enjoyed through the years. Recipes that may have come from the back of cereal boxes, soup cans or old church cookbooks. Today’s recipe is one that I know we’ve been enjoying for about 20 years. 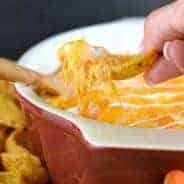 I’m pretty sure my mom first introduced me to this recipe, because I remember her serving it in a cute ceramic sombrero, with the tortilla stacks around the rim and the salsa was in the center. 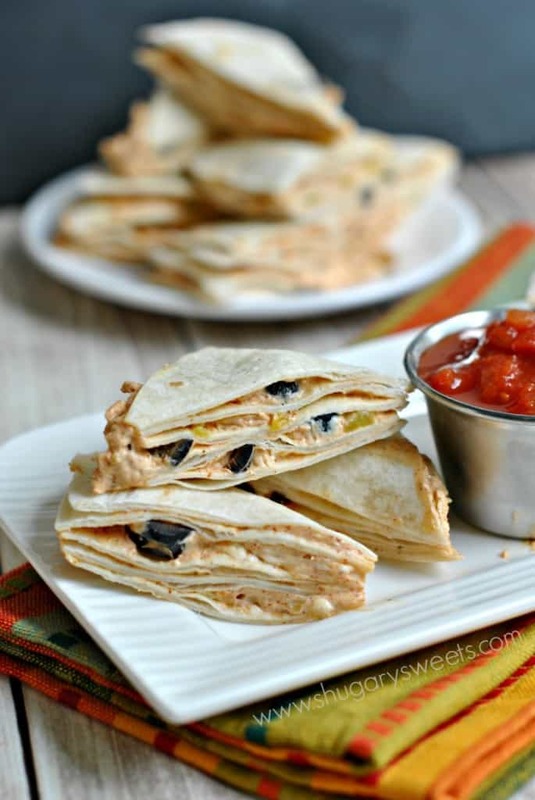 These tortilla stacks used to be what I brought to every potluck, birthday party or bbq. No joke. It was a standard appetizer if you came to my house. Through the years as I began making more recipes, I forgot about these! Until the day I was unpacking some cookbooks and found myself sitting on our office floor looking through the family book. Conveniently enough, we were having company that weekend and I knew I wanted to make these. I know how good they are, and I was suddenly craving them! Plus, it’s a recipe I haven’t shared here on the blog….and I was pretty sure some of you may enjoy these quick and easy snacks! 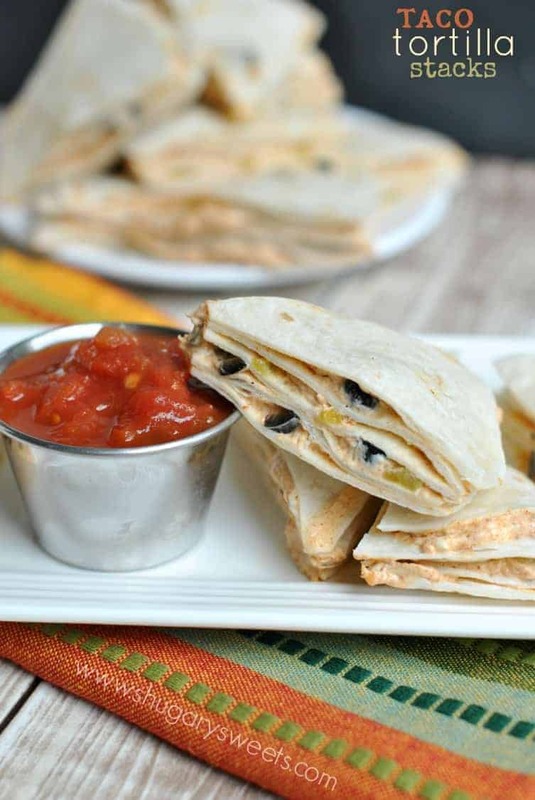 These Taco Tortilla Stacks are easy to make. In a big bowl, you combine your cream cheese with sour cream along with a package or taco mix. I used 3Tbsp of homemade taco seasoning instead, but use what you have! You then add the black olives and green chilies. That’s it. Spread on a 6inch flour tortilla, repeat until you have 4 tortillas with the mixture on them, and top with a 5th tortilla. Wrap the whole stack in foil, and repeat (makes 3 tortilla stacks). Refrigerate your stacks until you are ready to serve (at least one hour). When ready, cut each stack into 8 triangles (for a total of 24 triangles). 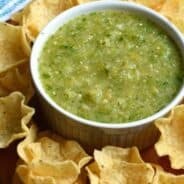 Serve with a dish of your favorite salsa and enjoy! These go fast, you may need to double the recipe!! button on all my recipes! In a large bowl, combine cream cheese with sour cream and taco seasoning until fully blended. Add in black olives and green chilies. Mix until combined. 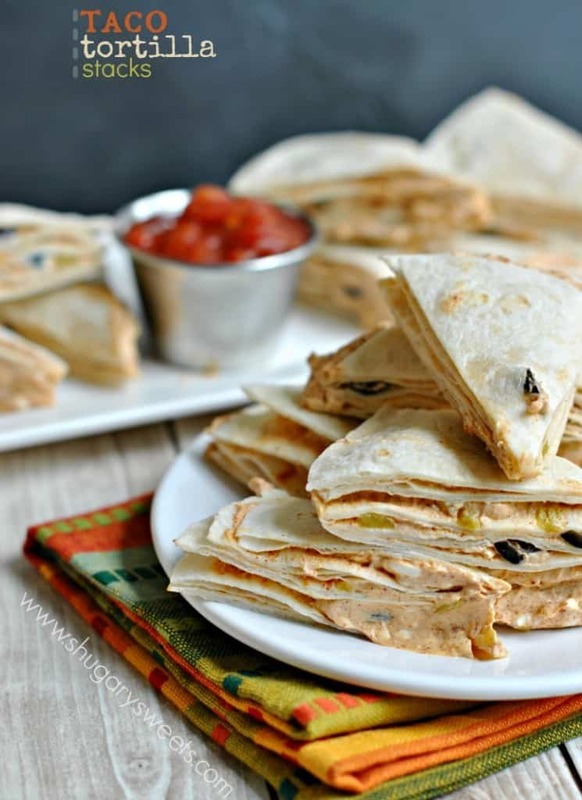 Spread cream cheese mixture onto one tortilla in a thin layer. Top with a tortilla and repeat 3 times (until you have 4 tortillas with spread stacked up). Top with a 5th tortilla. Wrap entire stack in foil and refrigerate at least one hour. Repeat for remaining 2 stacks. 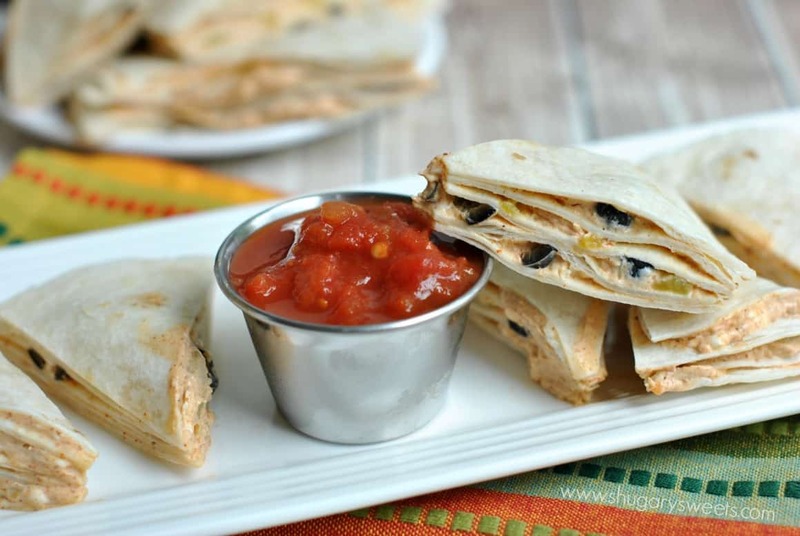 When ready to serve, cut tortilla stack into 8 triangles. Serve with a bowl of your favorite salsa. ENJOY! Taco flavored snacks are always a big hit. Here are a few of my favorites….. 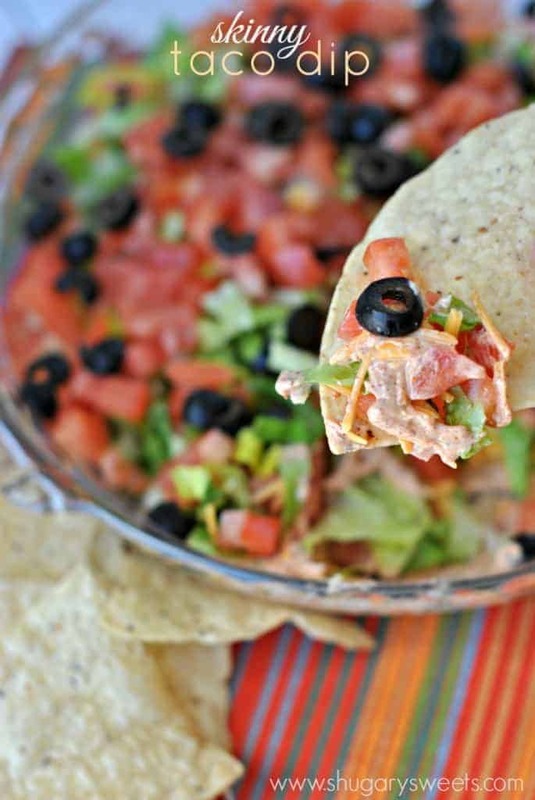 Healthy Taco Dip made with greek yogurt and taco seasoning! 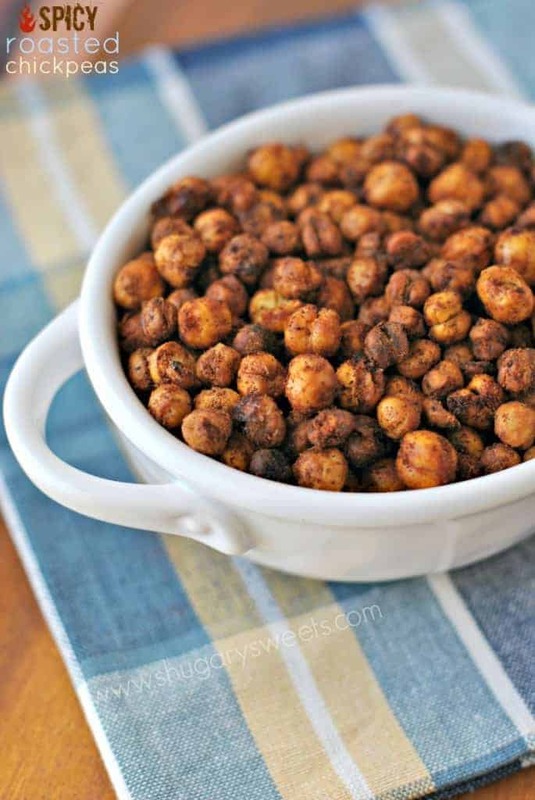 Spicy Roasted Chickpeas…crunchy, healthy, TONS of flavor! 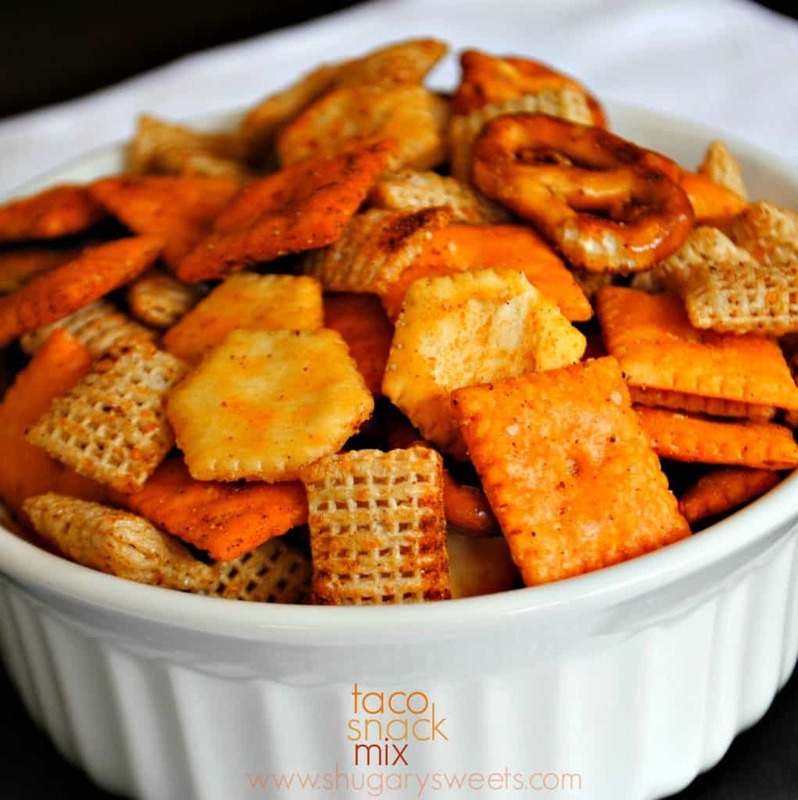 Taco Snack Mix…combine some of your favorite crunchy snacks in this no-bake mix! Ahh I SO want these for breakfast. They look delicious!! Oh these look amazing! Glad you found the recipe. I can’t see why they disappear fast! This is like the ubber portable form of taco dip! I would surely dig into these Aimee! 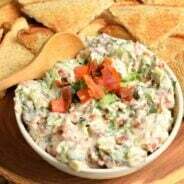 This sounds like such an easy and delicious appetizer when you have guests over. You’ve got me craving Mexican food now! I love the idea of making them stackable!! I can understand why these have been so popular for you. I am pretty sure I could make these appetizer AND meal! Are you serving these tortillas raw? They look to at some point have been grilled or browned or baked but the recipe says nothing about cooking the flour tortillas. 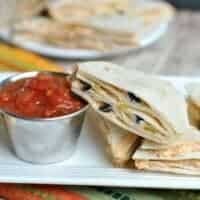 I am going to make flour tortillas today and I would like to try this. But not with raw tortillas. Help. I just use store-bought tortillas. I don’t do anything to them. Hope that helps. Homemade tortillas grilled in your skillet produce tortillas like storebought. In other words, storebought are NOT raw in the sense of just mixed up, shaped, and rolled out. There has been heat applied! Gotta love those family recipes that get made so many times over the years. I love how easy and delicious these look. Now I just need to make a trip to your new place soon, so you can pull out even more of these yummy recipes!!! Old family recipes are the best! And this one looks delish! Oh my gosh Aimee! These look so good. My mom is going to love them! I just love recipes that have been handed down through family! Some of my most treasured and most made recipes are from my mom and grandma, written on recipe cards that are smudged and smeared with fingerprints. Thanks for sharing, Aimee! I love family recipe collections! It’s easy to see why these have been such a hit. They look great! These look great! Wonderful photos, too. I find my tacos often taste better than they look in photos, but you’ve captured the tastiness nicely here! Sounds like something my family would enjoy for sure!! Can’t wait to try it for myself! Consequently delectable! That appears to be impressive!